A number of Hip Hop albums took a tumble this week on the Billboard Hot 200. No longer present at the top of the list are Lil Durk’s Remember My Name and Lil Boosie’s Touch Down To Cause Hell. Durk’s debut album took a hard fall this week, landing at #80. The Chicago lyricist’s album debuted at #14 last week. 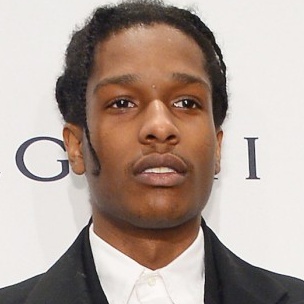 Harlem, New York spitter A$AP Rocky continues to hold positioning in the top 10, while the Furious 7 soundtrack and Drake’s If Youre Reading This Its Too Late remain in the top 20. Weeks after debuting on the Billboard 200, A$AP Rocky has remained in the top 10 with his At.Long.Last.A$AP album. Rocky dropped from #3 to #8 this week, but managed to move a little over 16,000 units this week. What started out as a surprise album, which was released months ago, has again made it into the top 20 on the Billboard 200. Drake’s If Youre Reading This Its Too Late was released without warning in February and features guest appearances from Lil Wayne, Travis $cott, and PartyNextDoor. The album landed at #16 this week. Skrillex & Diplo Present Jack U, a collaborative project between Skrillex and Diplo, serves as the debut album from the two artists. Released in February, the project moved a little under 2,000 units this week and had a stream activity of 5,575,417.